Is located in the south west of the Cyclades – (from the Greek name for a circle). The ferry from Amorgos to Santorini should have taken about an hour. Unfortunately some idiot booked the ferry travelling the wrong way so 5 hours later, on a smaller boat travelling at 70kph we enjoyed Naxos yet again and another three stops as well. Amazing. 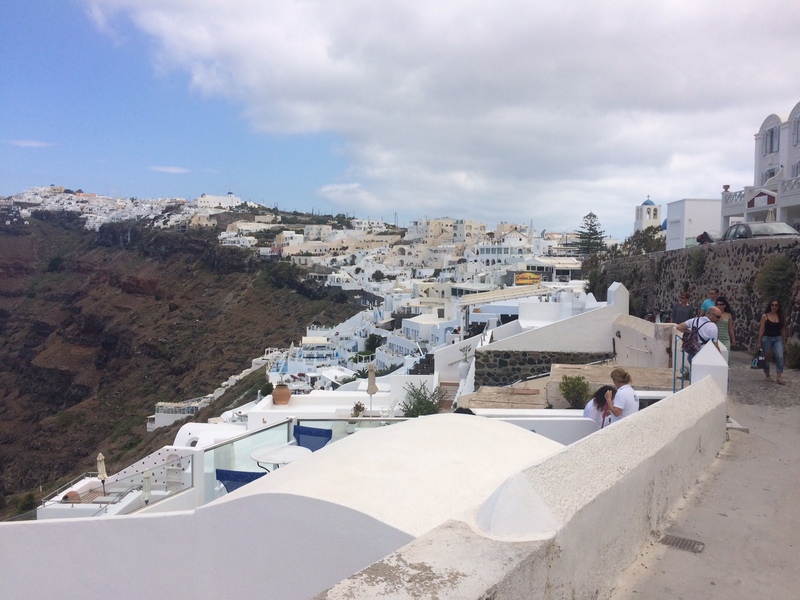 Anyway when we arrived at Santorini, we were confronted by a sheer cliff face, rising 2600 feet straight up with what looked like snow but was actually white houses clustered at the top. Guess what. You got it. 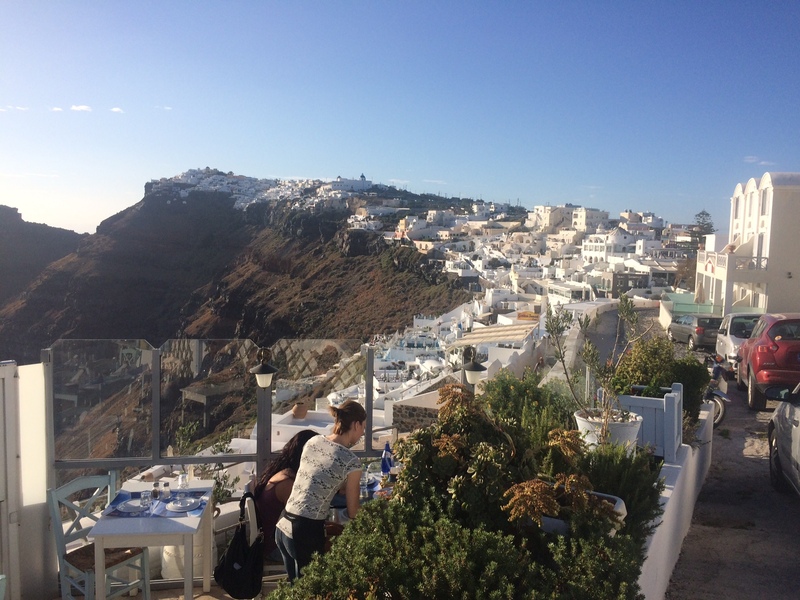 The coach picked us up – raced up the zigzags of the mountain road – making Amorgos mountains look like pimples on an elephants bum – absolutely frightened us shitless and eventually we were dropped off in front of the Santorini Palace Hotel. Look at the view! – bugger off we’re going to bed. 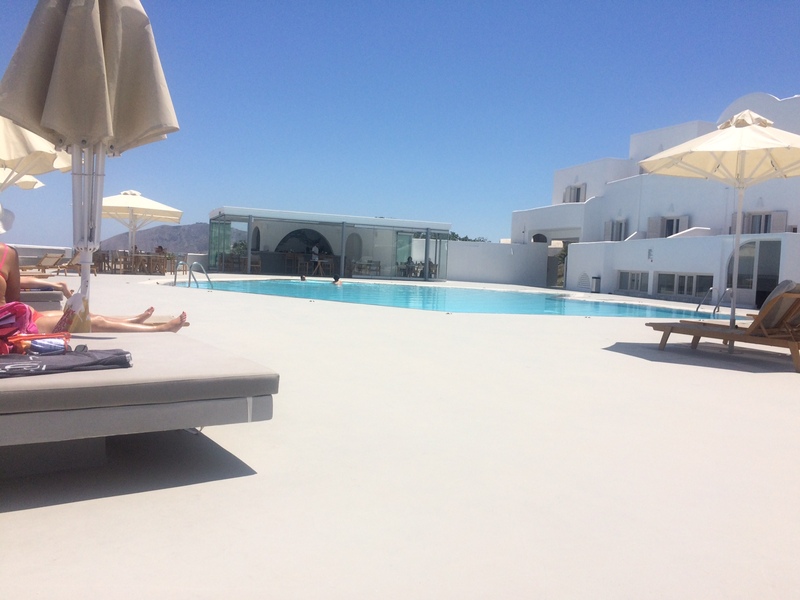 The hotel, Santorini Palace, is quite large, all white – as they all are – with a spectacular pool and a real, genuine pool bar where you can buy any cocktail you like. At last! The best since Athens. The next day we got up and the view was gorgeous – looking out over the volcanic bay with four huge cruise ships at anchor, with the tenders running backwards and forwards giving the passengers the chance to either go up the cable cars or by donkey up the 580 steps to the top where we were. Very pretty. 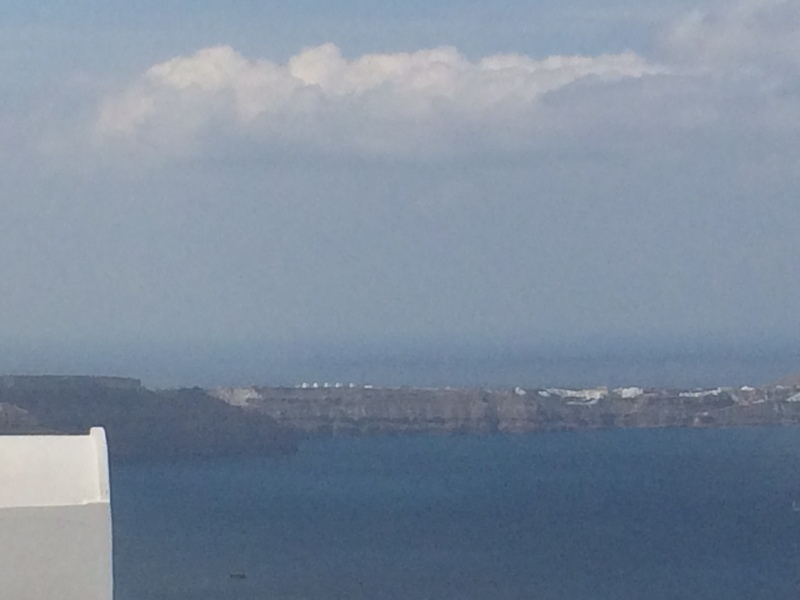 Santorini is VERY touristy and expensive as expected. We had a beer at the bar, looking out over the evening lights and the bar person came up and said “are you going to pay for your beers now?”. Hospitality staff in this hotel have an awful long way to go, basically because the tourists pour in and never stop. 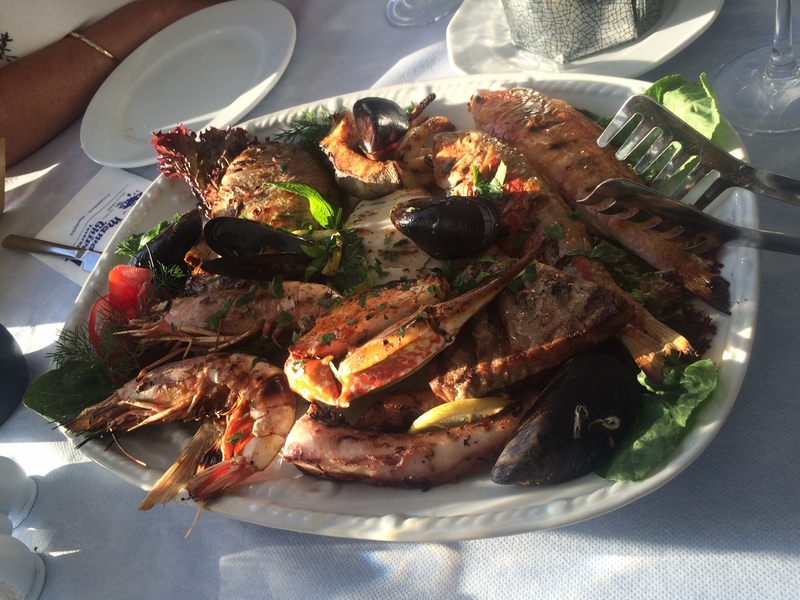 Found a great seafood restaurant called Mama Thiras very close to our hotel where we had a coffee. Fredo espresso. A black, frothy coffee. Yum. We saw what others were eating so we are going to dress up, enjoy some wine and go down there again tonight for a meal. Hope the others pass it by. 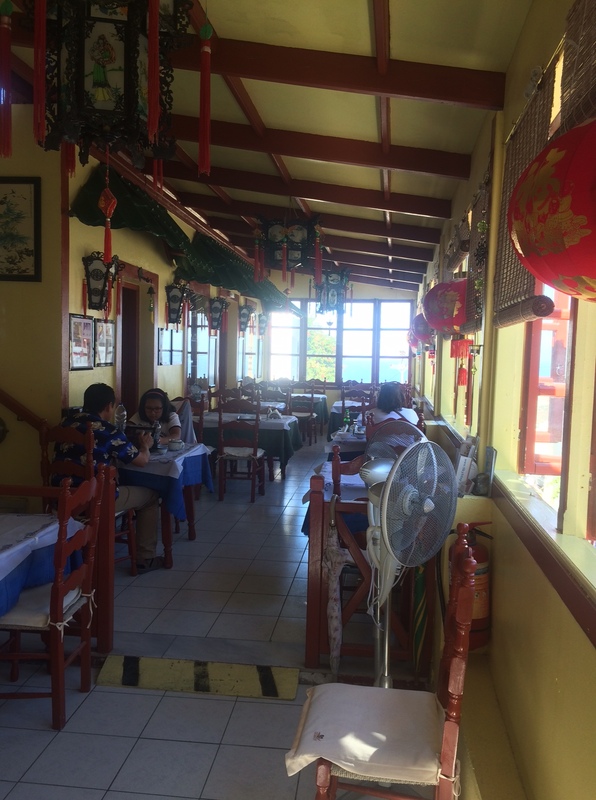 We did go back for a seafood spread – about $120 – the setting was lovely (but how many sunsets can you look at?) but the food rather average with both the tuna and crab claws way over cooked. The rest of the meal and the wine was pretty good. 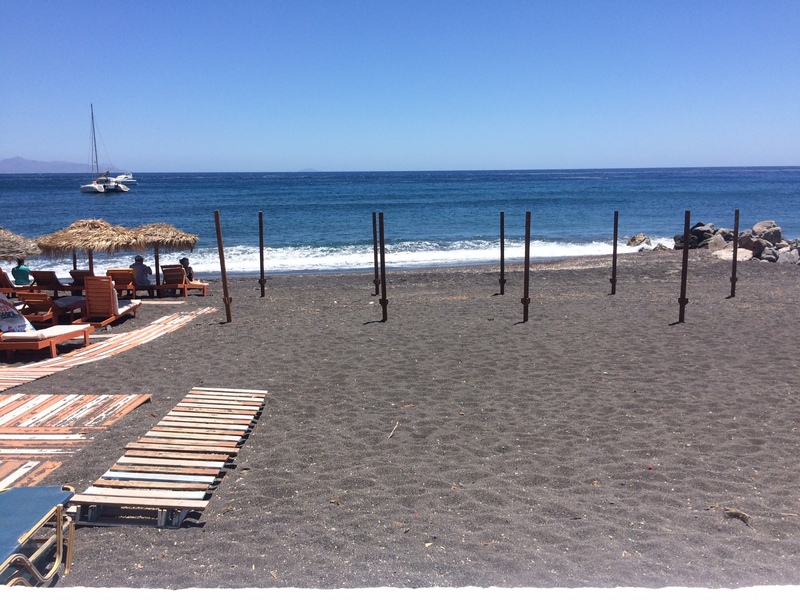 Next day we took the local bus to Perissa beach, rather windy volcanic black sands stretching over a kilometre. Again very touristy. Different buses ply the same route so the charges vary for a “top of the line” luxury coach to an average bus. Different. 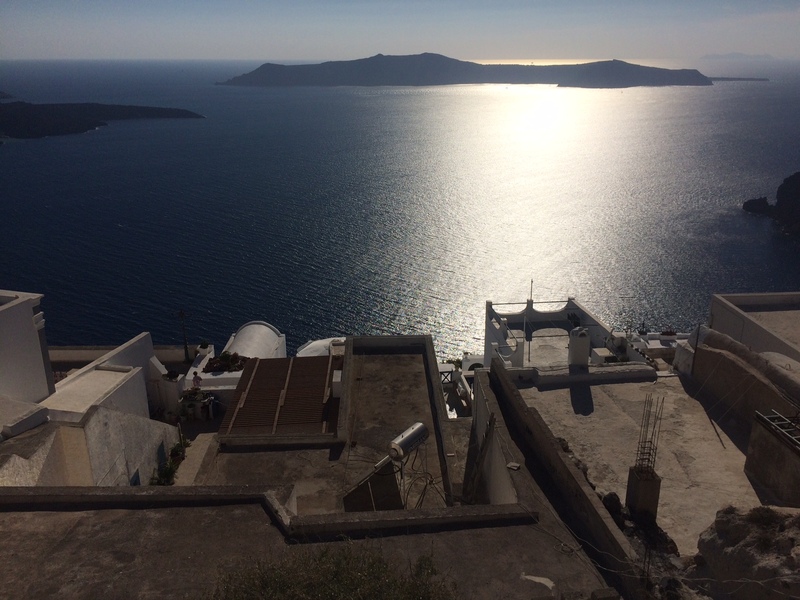 That day, the others went for an “included sail” in Santorini bay, with swimming, calling at various islands and a walk up to the volcano followed by drinks on board. Selling the sizzle was much better than reality. We did not go as it involved going down the mountain road AGAIN – going for nine hours and driving back in the dark. “When we go down that hill, we ain’t coming back”. A sentiment shared by six of us. 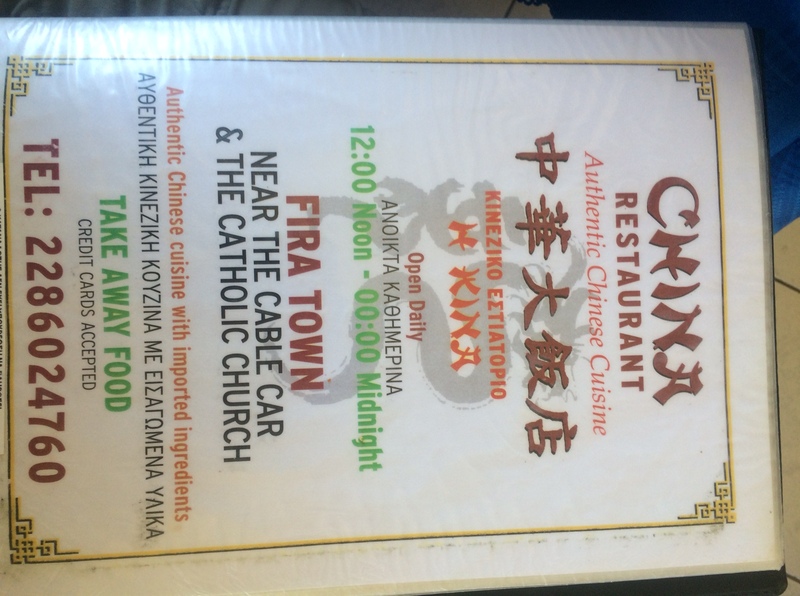 Finally, having had enough of overpriced souvlaki, moussaka etc we found the China Restaurant run by a Malaysian since 1981. We had a fantastic sweet and sour pork and an Indonesian “brown” curry. The next day, a long wait and caught the high speed ferry back to Piraeus – the port of Athens. 5 Hours. 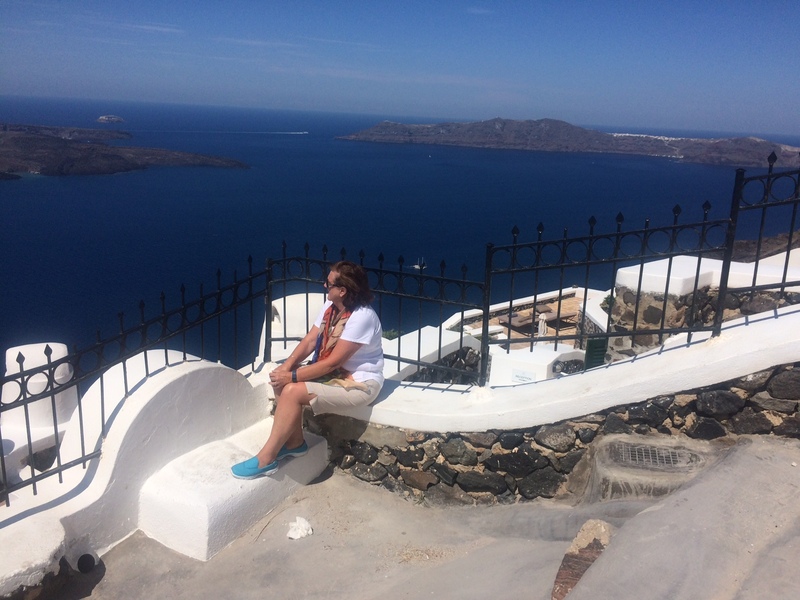 You guessed it – wrong way again – back to Naxos and Mykonos etc. A total farce conjured up by Travel Associates who seemed to have trouble getting their act together when it came to ferries. 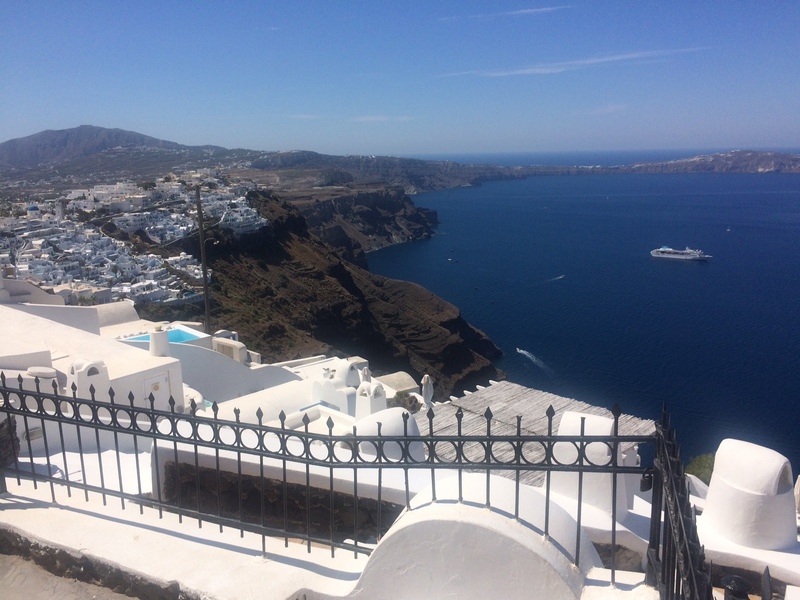 In conclusion – Santorini is very oversold, touristy and expensive. Rating for our Greek Holiday – 6.5/10 Preferred Chanai on the island of Crete. Could happily miss Greece but it is a must do. 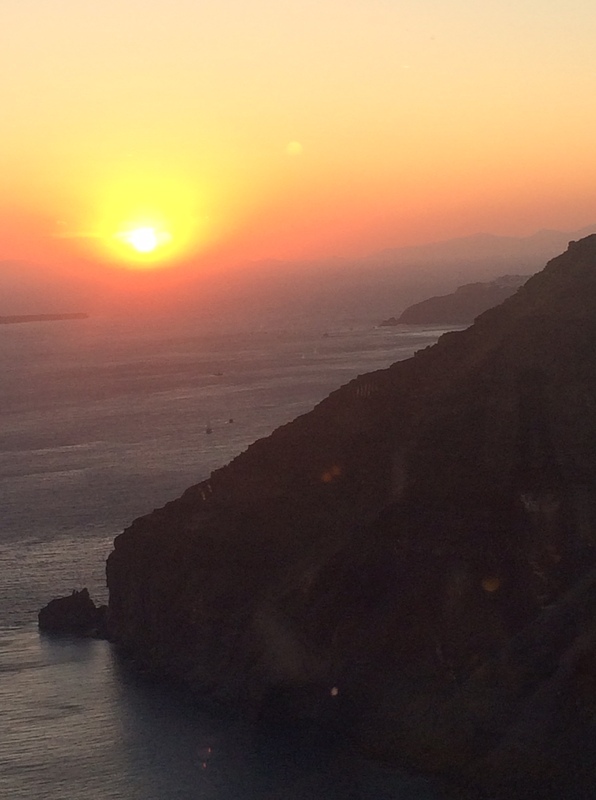 Two days in Omiros Hotel in Athens then off to Dubrovnik – Croatia.